There are something’s in life that you just have to do before you finally get to the great clubhouse in the sky and playing Machrihanish Dunes is one of those things. It’s like skinny-dipping in the warm waters of the Caribbean, or taking a shower under a waterfall, its natural and it feel so right and so good. Well Machrihanish Dunes is just like that, no big diggers, no massive earth moving equipment, no over reliance on fertilisers and manicured flat fairways, with tones of drainage and irrigation. 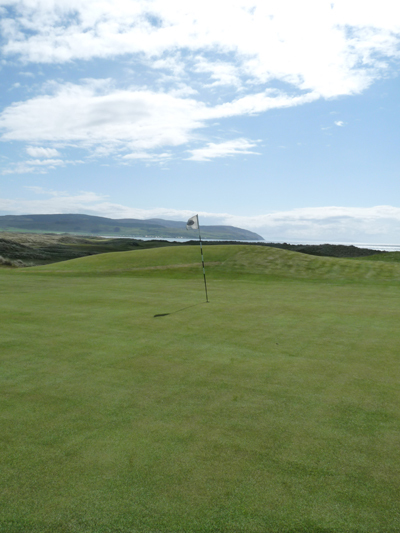 Machrihanish Dunes is a course design around the natural lie of the land, sitting in the rolling terrain of the dunes that have been here for thousands of years. It’s a course designed by god with a little helping hand from David Kidd, its how golf courses should be, where the land dictates the flow of holes, its stunning and I am sure Old Tom Morris who designed, Machrihanish Golf Club on the same stretch of coast line would have enjoyed as much as his own course. If like me you love all things natural, then you need to get yourself to Machrihanish, it’s where tradition and nature go hand in hand.